Posted by Chris Fordyce. Jan 17, 2019. Most businesses require detailed records of actual time and attendance for both payroll and compliance purposes. Understanding your business’ time and attendance will help bring much better performance and organisation. Having staff turn up consistently late for shifts means they won’t perform to standards and you will eventually have to recruit new staff (costing your business more money and time). RosterElf solves the time and attendance challenges with our range of digital employee clock-in-out tools. 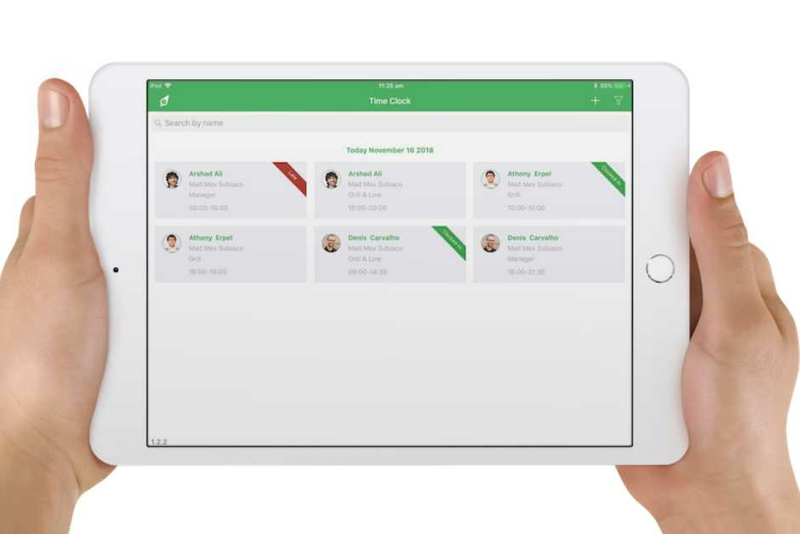 Our Time Clock tablet app (available for both iOS and Android tablet devices) includes photo check-in and live shift updates, allowing for greater attendance validation. Time Clock provides accurate attendance data, whereby staff can clock in and out for their shifts as well as record their lunch break times. This will ensure data is stored and accessible at any time, and recorded for payroll entries. By keeping track of timesheets digitally, managers can see all rostering and timesheets in one easy to access location. Managers can view clock in and out information live, and filter out by the different sites their business may have. Managers simply need to login here or via the RosterElf smartphone app to see live data. Staff who are arriving to work slightly earlier than their shift will be able to plan their day and prioritise tasks. This will see them meet key deadlines and track their performance on more closely. By placing the responsibility on staff to update their availabilities and clock in/out for shifts it places great power in their hands to work the best available shifts. This means staff are more inclined to perform better than expected. RosterElf allows staff to clock in and out of their shift through the Time Clock tablet app or via the RosterElf smartphone GPS clock in and out. Your business, whether small or large is partly successful due to staff working their given shifts and productivity. Time Clock and smartphone clock in and out, will enable businesses to enforce an attendance policy, whereby managers can track and compare timesheets from previous weeks by generating a rostering and payroll report. As a business owner or manager, you can start implementing digital time and attendance amongst your employees. Be sure to onboard your staff with regards to attendance, either with the Time Clock tablet installed at your business premises or staff can start clocking in with the RosterElf smartphone app.